Fees associated with filing a trademark application in South Africa as well as other trademark fees are available in the fee calculator. Multiple-class applications are not possible in South Africa. A separate application should be filed for each international class of goods or services. To obtain a filing date, it is necessary to provide the Companies and Intellectual Property Commission with the applicant’s details, trademark representation, an indication of international class and specification of goods or services. The original of the Power of Attorney may be provided at any time before examination of the trademark application; no legalization or notarization is required. In case of priority, it is to be claimed on filing, mentioning the number, date and country of the application whose priority is claimed. A certified copy of the priority document must be provided within three months from filing the trademark application. If the priority document is not in English, a certified translation thereof is required. The trademark in South Africa is valid for ten years from the date of filing the application. The opposition period against a trademark application in South Africa is three months from the publication of the application. The POA is not required for renewal of a trademark in South Africa if the address for service stays the same. The trademark may be renewed six months before the renewal due date and six months after the renewal due date, incurring minor penalties. 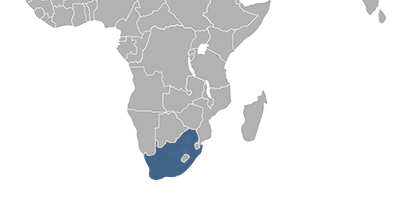 The trademark in South Africa is subject to cancellation in case it has not been used within a period of five consecutive years or longer. Foreigners must appoint a registered South African attorney to perform the trademark prosecution in South Africa. A trademark may be registered if it comprises any sign capable of being represented graphically, including a device, name, signature, word, letter, numeral, shape, configuration, pattern, ornamentation, colour or container for goods or any combination of these. Three-dimensional and colour trademarks may be registered as well as sound trademarks. Taste and fragrance trademarks are not registrable in South Africa. Online Search database for South African Trademarks.